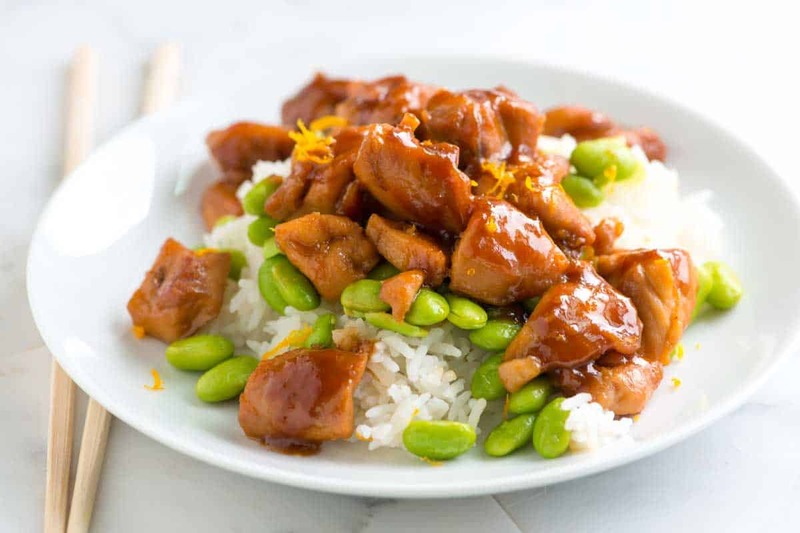 You will love this quick and easy teriyaki chicken naturally sweetened with fresh orange and honey. 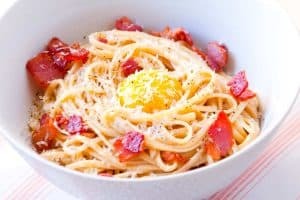 It can easily be made on a weekday and comes together in about 30 minutes. 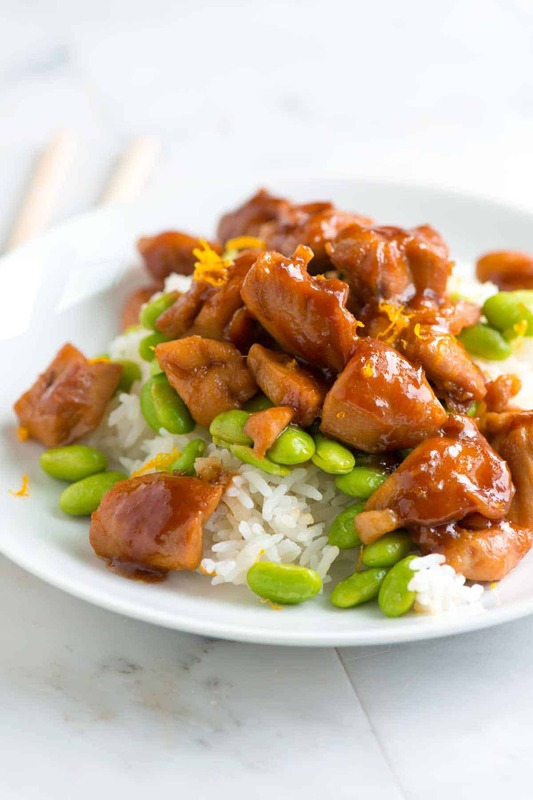 Jump to the Honey Ginger Teriyaki Chicken Recipe or read on to see how we make it. 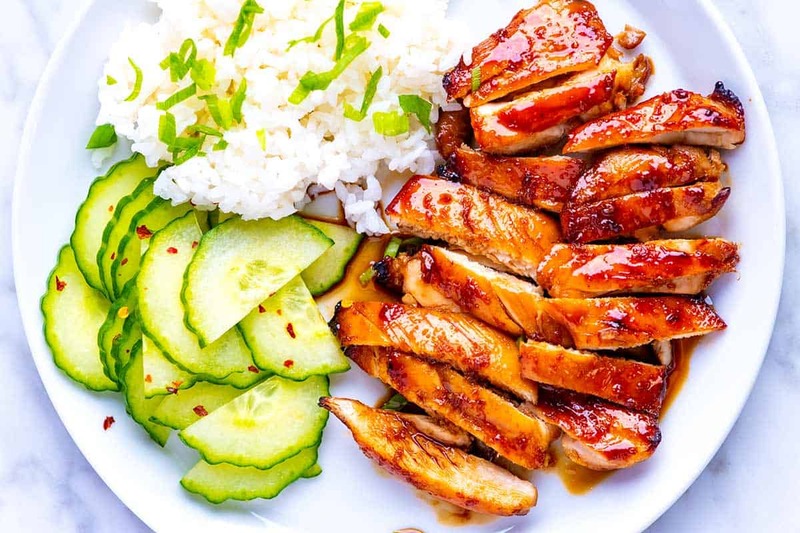 I love this teriyaki marinade, made with soy sauce, ginger, honey, and orange. It even doubles as the sauce! 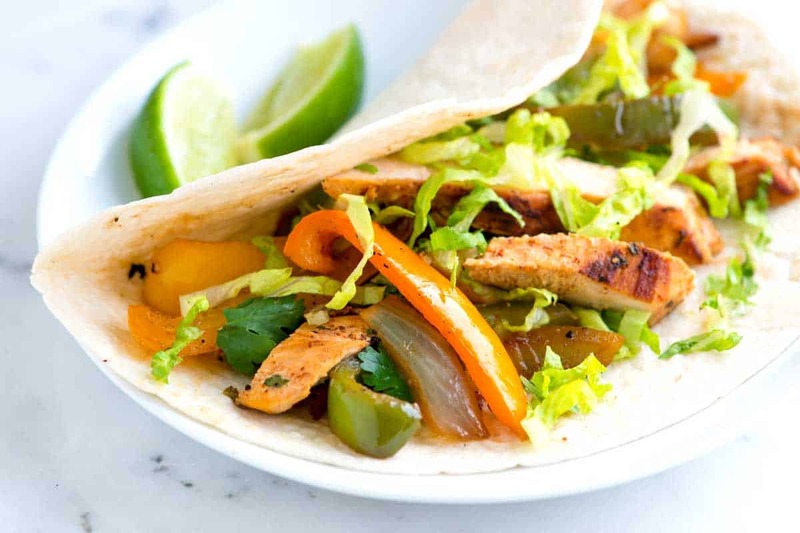 See how to make the best chicken fajitas. We use a garlic and citrus marinade. They taste amazing. Jump to the Easy Chicken Fajitas Recipe. Everything comes together really quickly for this teriyaki recipe. Thanks to a quick marinade and a fast cooking time, you can make teriyaki chicken in about 30 minutes! When it comes to choosing the chicken, we use chicken thighs. If you’ve been following along with the blog, you may already know that we love using chicken thighs. They have more flavor and become more tender than chicken breast. 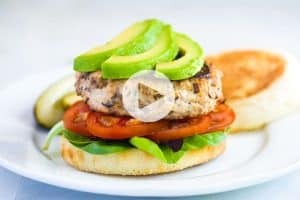 That’s not to say that chicken breasts don’t work in this recipe, though! Here’s our Easy Teriyaki Sauce from scratch. It keeps in the fridge for weeks! Soy sauce, which seasons the chicken and is a crucial component of teriyaki sauce. Honey, which provides a natural sweetness to the marinade and sauce. It also helps to turn the sauce thick and shiny after it’s cooked. Ginger adds flavor and a little spice. Mirin is another traditional ingredient when making teriyaki. It’s a sweet rice wine used in Japanese cooking. If you cannot find mirin, we have provided substitutions in the recipe below. Toasted sesame oil adds a nuttiness and umami (savoriness) to the marinade/sauce. Marinate the chicken for at least 15 minutes. You can marinate for longer; the chicken will only get better. After marinating, take the chicken out of the marinade and add it to a hot pan. Cook the chicken until light golden brown on all sides. Then pour in the marinade. Continue to cook until the marinade turns shiny, thick and coats the chicken. 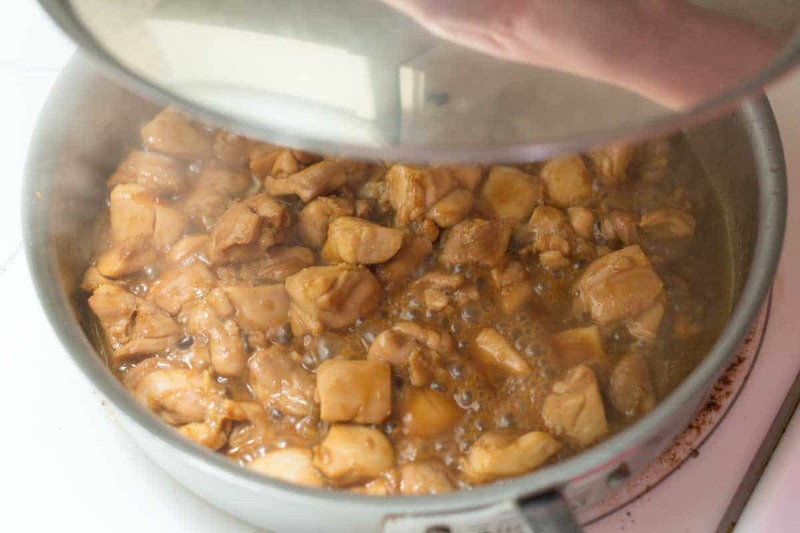 If you loved this recipe, here’s another teriyaki chicken recipe — the chicken is almost addictive. We glaze chicken thighs and broil them until sticky, shiny, and delicious! This teriyaki chicken recipe can easily be made on a busy night and comes together in about 30 minutes. With extra flavor from fresh orange, ginger, and sweet honey, this has become one of our favorite go-to dinners. In a medium bowl, combine the soy sauce, orange juice, honey, ginger, mirin, and sesame oil. Heat oil in a large skillet or wok with a lid over medium-high heat. When the oil is hot, use a slotted spoon to remove the chicken from the marinade and place into the pan. Save the marinade for later. Cook chicken, occasionally stirring, until lightly browned on all sides. Turn the heat to medium-low then pour in the marinade and cover the pan with a lid. Cook for 5 minutes. Remove the lid, and then check to see if the chicken has cooked through. If cooked, remove the chicken to a clean bowl. Allow the marinade to simmer for 1 to 3 minutes until thickened then toss with the chicken. Serve over rice sprinkled with orange zest. To grate ginger, use a fine microplane to grate. If you do not have a microplane, you can mince the ginger. If you do this, make sure the ginger is cut into very small pieces. 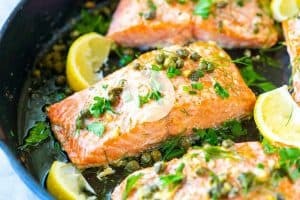 We use mirin in this recipe. It is a Japanese sweet rice wine. You can usually find it in the international aisle of larger grocery stores or in Asian markets. Mirin is a sweet rice wine used in Japanese cooking. Not only does it add flavor to this recipe, it also provides luster to the teriyaki sauce. Dry sherry, sweet marsala wine, dry white wine, and rice vinegar are good substitutes, but you may find that you need to add a touch more honey to the sauce. I made your bluberry muffins, I just changed the vanilla for lemon and added lemon zest, they were absolutly perfect! Thanks! Thank you so much for this excellent recipe! It was so simple, very easy to make and delicious. I made this along with brown rice and broccoli with sauteed garlic. My family enjoyed it very much. I will definitely add this to my list of favorites! 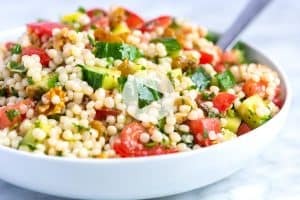 Thanks for this receipe it was really yummy and full of flavour! Question – Is there a substitute for mirin? To replace Mirin, you are looking for a combination of sweet and acid. Here are 3 common substitutes: Use dry sherry or sweet marsala wine in place of the Mirin. Or dissolve a small amount of sugar (a 1/8 teaspoon or so) in a 2 tablespoons of white wine or sherry. Hope that helps. I making this today and luckily I had cooking masala wine in the house! Thanks for the substitution tip! Thank you for the recipe! Chicken was delicious. My kids are extremely picky but loved your recipe. I used 3 tbs of honey instead of 2. After sauteing the sauce I strained it. To thicken the sauce I added a couple of tsp of cornstarch and stirred constantly. My kids now want this every night, thank goodness its easy! Wonderful — so glad everyone enjoyed it. Made this tonight and my family, including slightly picky 3 year old daughter, gobbled it up and asked for seconds. I added shallot, finely sliced carrot and steamed edamame. It was easy, yummy and will be added to our growing list of trusted staple recipes! Thanks for sharing. Looks great, I will try it, Do you also have Hunain chicken recipe. Pretty tasty and easy! Mine wasn’t as pretty as the picture, and took awhile for the sauce to reduce, but it tasted great! Quick question: do you add 1 t. of sesame oil in the marinade AND in the pan with the chicken? Thanks! Mmm! My family would love this!